Forró (fo-haw) is a Brazilian dance known for having a highly addictive fun-factor, having become one of the most popular dances in Brazil in the past few years! Dynamically mixing both close and open embrace, legwork, and turns, Forró is growing to become a popular dance at festivals all over the world. What do you put on your toast? What do you put in your music? Combine musical forces, and be the ingredients of Jam on Toast, the first band at Kalabash. Bring your instrument, your voice, your song, and your willingness to rehearsals on Sunday’s. What do you put on your toast? What do you put in your music? Combine musical forces, and be the ingredients of Jam on Toast, the first band at Kalabash. Bring your instrument, your voice, your song, and your willingness to rehearsals on Sunday’s! Join us for a new eclectic musical experience for little ones filled with folk tales, song and dance from around the world! For ages 4-6 on Thursdays at 4:30pm. Paper Flowers with Madame Criativa! Kalabash presents a unique craft experience with Madame Criativa! Learn how to make giant paper flowers with Madame Criativa to decorate your home, kid's room, events, weddings and parties! Every 2nd + 4th Wednesday of the month! Two amazing workshops in one day! Fiddle workshop with Rosie Newton and a Banjo workshop taught by Richie Stearns! Sign up for one or both! Find out more! This is a body positive, fun loving dance class for you choreographed by different guest artists, dancers, non-dancers, singers, painters and nice people every week! Move your body to all the good tunes from Bjork to Bollywood and get weird. Spaces limited, sign up in advance! Kalabash presents a unique craft experience with Madame Criativa! Learn how to make giant paper flowers with Madame Criativa every third Wednesday of the month to decorate your home, kid's room, events, weddings and parties! The Bob Ross of Italy is coming to Kalabash to teach you all about happy painting techniques from the traditional masters of the past! We've decided to put our own special spin on this iconic film and adapt if to the stage specifically for our young artists, filled with the sing-a-long songs of The Beatles. The timeless, important and universal message of love is what we need. When it's delivered through beautiful songs and stories it leaves a lasting impression on the minds and hearts of all of us, especially the young. This will be an adventure of color, art, music and love. We encourage you to come along for the ride and enroll early for this 10 week workshop production on Sundays from 12:30 - 3:30pm. Spaces are limited to 15 students ages 7 - 12 and enrollment is now open! 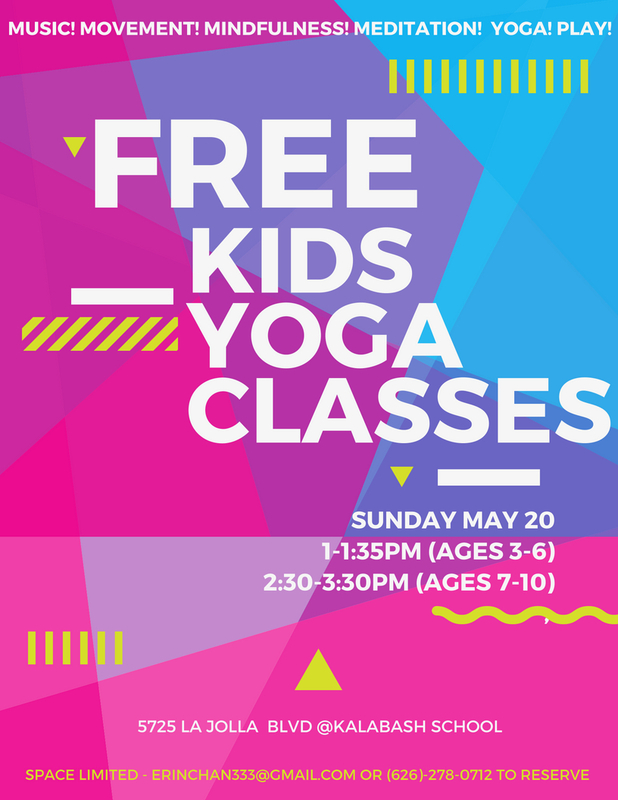 This is integral yoga designed especially for kids - combining fun music, heart-pumping dance and play, yoga poses, mindfulness activities, and all the traditional benefits of yoga: meditation, deep breathing, and relaxation! This practice is a blast for kids and will not only build and increase body awareness, flexibility, strength, and confidence - but also provide a significant outlet for emotional release and the stresses of day to day activities. The most wonderful time of the year is here! Who doesn't love this festive season? It's the perfect time to get creative and make all kinds of crafts to decorate the house or to give a handmade gift to someone we love! Join Madame Criativa for this magical experience! Join us every Saturday at 2pm to learn the iconic choreography from Kate Bush's red dress Wuthering Heights music video! These classes will be taught by members of Baby Bushka in preparation for THE MOST WUTHERING HEIGHTS DAY EVER Flash Mob on July 14th! Spaces are limited so spaces must be reserved in advance! KATE BUSH DANCE CLASS: WUTHERING HEIGHTS - NEW TIME! 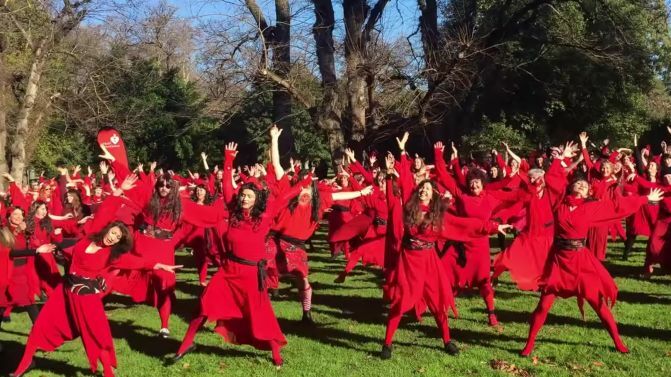 Join us every Saturday at 10am to learn the iconic choreography from Kate Bush's red dress Wuthering Heights music video! These classes will be taught by members of Baby Bushka in preparation for THE MOST WUTHERING HEIGHTS DAY EVER Flash Mob on July 14th! Two amazing workshops in one day! Old Time Harmony Singing + Claw Hammer Banjo workshop taught by Evie Landin and Keith Terry! Sign up for one or both! Find out more! Forró is a Brazilian partner dance that is fun, sensual and easy to learn. Get to know the basics, including simple turns, spins and footwork patterns. Put your comfortable shoes on and get ready to dance Forró! A cool new pop and jazz choir for kids! Come together and learn to sing in harmony and counterpoint with our awesome voice teacher Lexi Pulido! The hip new thing on the banjo starting in the 1880s was thumb and two-finger picking, called "Guitar Style" at the time. Clarke Buehling will teach patterns that were used on five-string banjo for accompanying country dances. You, too, can sound like Charlie Poole! Traditional techniques of the masters with artist Talia Ceravolo. Two 6 week workshops in Charcoal Drawing + Oil Painting. Sign up for one or both! Join Kalabash instructor Stefanie Schmitz for our new family friendly community drum ensemble for ages 8+ Learn rhythms from around the world while experiencing the joy of playing together! It's free! Compose + create your own original music with artist Natasha Kozaily of NATULA and record it in our studio with sound engineer Clinton Davis! For students ages 12 to 17. Join us for an exciting new theatre workshop at Kalabash! Students will create on stage and behind the scenes for their own theatre production. Working together with our talented artist teachers, Nancy Ross (drama) Daniel Gonzalez-Zarzuela (art), students will get into character on stage as well as design and create their own sets and costumes! Spaces are limited so sign up today! Student have the option of signing up for either the dance or vocal workshop for $25 each or $40 for both. Straight from the mountains of Appalachia this beginner friendly class introduces the student to the funny stories, history, culture, styles, steps and all-out fun of Appalachian percussive step dance. There will be demonstrations, practice sessions, questions, and live music for all to enjoy. No partner or dance experience necessary! The student learns the Soldier’s March, Jimmy, Mitchell, Bowman, Leaf Shuffle, Zig Zags, Chugs, Nashville, Coleman and Buck Step. 1hr 15min. Prerequisites: Be prepared to tell a short, good joke and smile. Bring: Water, hard-soled shoes if you have 'em, something to video with if you are gonna get serious. Singing in harmony begins with “thinking in harmony”. Learn how to tune in to the voices around you while practicing an array tips and tricks for harmonious singing in duos & trios. Go on a fascinating journey that highlights subtle stylistic changes, which can turn a nitty-gritty Old-Time song into a sweet, “high-lonesome” Bluegrass number. This class will mainly focus on learning by ear, but handouts with lyrics and notation will also be provided. Prerequisites: A willingness to give up your own super-stardom in order to play a supporting role is key. Since the class is harmony singing rather than basic singing technique, the ability to basically carry a tune is real helpful for this one, but not required. We’ll work with singers of all levels. Bring: If you play an instrument, feel free to bring it. Recording devices will be extremely helpful. Pen and paper is old school, but smart. If you get bored, at least you can doodle or pass love notes. For this month only, the Songbird Circle is changing it up and inviting Liz Nistico of the brat pop duo HOLYCHILD for a special Lyric Writing Workshop on Friday, Feb 17th from 6-8pm!!! Join artist and composer Randin Graves for this special didgeridoo workshop for all levels on Saturday Feb 11th from 11am to 12pm. This workshop is geared towards teens and adults. The Center for World Music will be donating 10 didgeridoos for students to use, however if students have a didgeridoo of their own they are encouraged to bring it. In this workshop students will learn about the building blocks of electronic music. Including an introduction and exploration of modular synthesis, synthesizers, drum machines, sequencers, effects and more. At the end of each sessions students will use the knowledge they have learned to create their own electronic music using a variety of music production equipment.